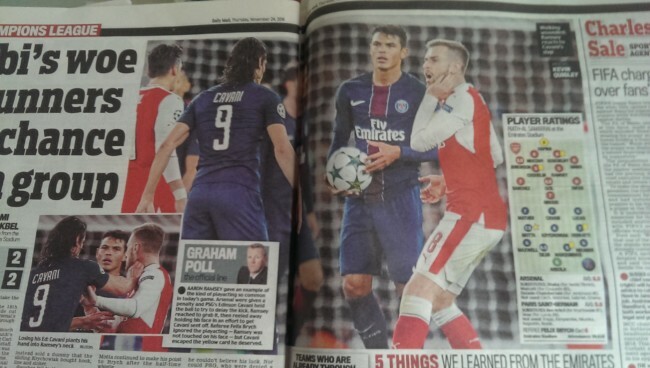 Should Edinson Cavani have been sent off in PSG’s Champions’ League match at Arsenal? The Star says the striker “cuffed” Arsenal’s Aaron Ramsey “on the chin”. In the Mail things become more confusing. We see Cavani “losing it”. 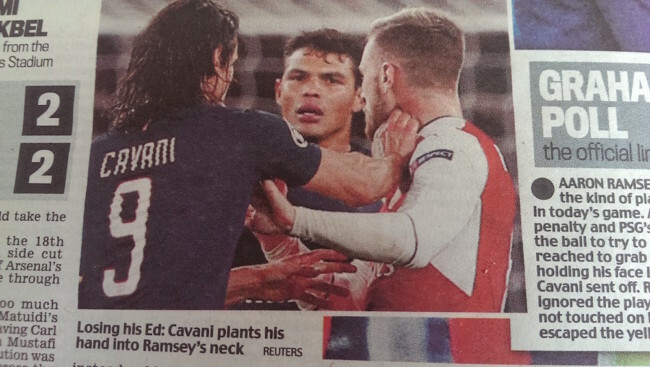 He “plants his hand into Ramsey’s neck”. Sami Mokbel says Cavani “aimed a punch at Ramsey”. 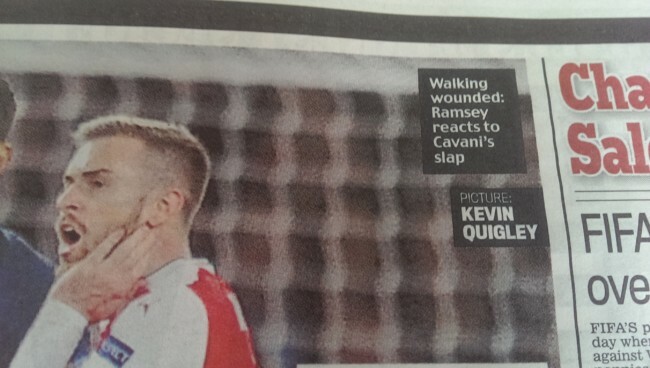 The Mail says Cavani slapped Ramsey. 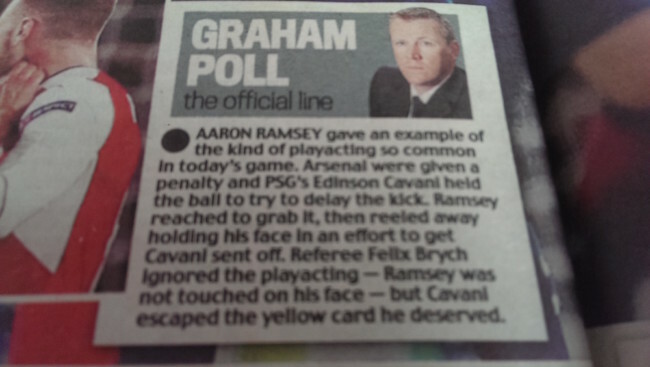 Writing in the Mail, former referee Graham Poll counters his own paper by accusing Ramsey of “playacting”. He says “Ramsey was not touched on his face – but Cavani escaped the yellow card he deserved”.